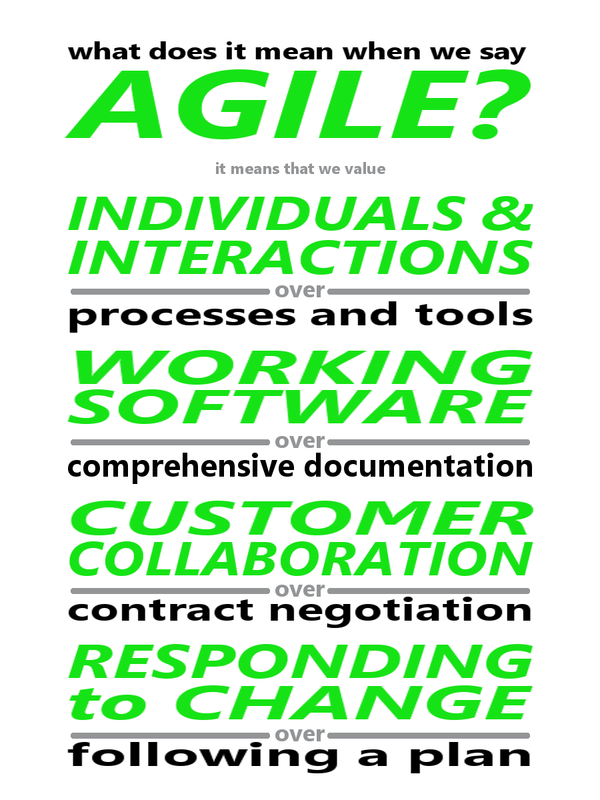 What does it mean when we say Agile? Here’s a little something I put together for an Agile education initiative. Click to embiggen.